“Love is in the air as Charlie Brown and the rest of the Peanuts gang make plans to celebrate the upcoming Valentine’s Day holiday. It’s the most romantic time of the year and everyone has big hopes of having their dreams of love and friendship fulfilled. Charlie Brown once again finds himself wishing he had the courage to ask the Little Red-Haired Girl to the dance. While he pines away for her, Peppermint Patty and Marcie do their best to woo him. 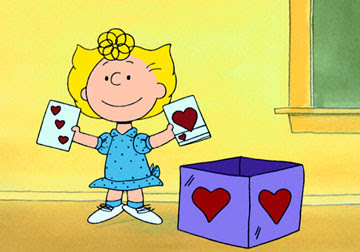 I felt a wave of nostalgia when I watched A Charlie Brown Valentine with my son, because I fondly remember being a Peanuts fan as a child. I even had a Peanuts book collection! Therefore, I was excited to have an opportunity to watch this DVD and review it. A Charlie Brown Valentine is heartwarming and pleasantly funny. Charlie Brown is trying to muster up the courage to ask the Little Red-Haired Girl to the dance, yet Peppermint Patty and Marcie have other ideas. Therefore, they try their best to woo him. Peppermint Patty and Marcie are two girls who are stubborn and persistent. So giving up on something is something they are not good at! If you’re a Peanuts fan, this DVD this is a must have! Plus, it would make a great gift for your little one on Valentine’s Day.